Laurel– What do you mean it’s not the wall color that makes a beautiful room? I mean, did I just plunk down 199 bucks for nothing for your color guides? Please explain. Sure. Well first of all, white IS a color and there are several beautiful whites in my paint collection. But saying that a wall color makes a beautiful room is like saying a flawless complexion makes a beautiful woman. Indeed, a beautiful woman generally does have beautiful skin and a beautiful room needs a beautiful wall color, but no color in isolation will automatically make for a beautiful room. In fact, I believe that one of the worst decorating mistakes is to have a big, uninterrupted drink of ANY color. Yes, we’ve been through this before. And we will again, because IMO the most important feature, the one that MUST be there, are the architectural elements of the room. It’s awfully difficult to make a plain box look special. And so it’s the architecture of the room. Windows, doors and especially applied wall mouldings which are the GUARANTEED way towards a beautiful room. I mean, look how gorgeous this design is for panel moulding and a fireplace mantel. Wonderful design by Gil Shafer. Now compare it to this solid white. Which would you rather look at? Or imagine how boring this vignette would be with this gorgeous chest from Stanley without the simple panel moulding behind it. And then there’s this image from Sunday’s post with the beautiful mouldings in this contemporary bathroom vignette from DXV from the KBIS show. By the way, someone wanted to know the wall color and I still don’t know, but it looks like a dead ringer for Benjamin Moore Stormy Sky 1616 or possibly Benjamin Moore Anchor Gray 2126-30. Both of these colors are part of the Black and Charcoal color family in the Laurel Home Essential Paint and Paint Palettes Collection which features 144 curated Benjamin Moore colors + more than 40 palettes. And yes, I know that I owe those of you who own it, the final bonus palette. If you missed it, you can see the final bonus board (there are 12 of those) here. So, Laurel, If I’m understanding this correctly, you’re saying that if we have nice doors, windows, fireplace mantels and applied wall moulding that we will have a guaranteed beautiful room? Well, haha, you WILL have a beautiful room, but yes, you can still muck up the design and furnishings. However, you’re going to have to work a lot harder on doing that if the room is inherently beautiful. And I believe it’s very difficult to have a beautiful room if the architecture isn’t there. Well, what if I want a modern home, sans mouldings? Are you saying that it’s going to be awful? No, not at all! You will still have windows and doors and probably lots of glass. Usually there is some moulding, even if very plain. But for the majority of us who are interested in a classical, stylish, eclectic home, these elements are going to make a huge difference. A great example of a room that is traditional with a contemporary feel is this stylish vignette by Thomas O’Brien. Love his work! And this brings me to one of our Designhounds Blog Tour Sponsors at the Kitchen and Bath Show, Metrie Interior Mouldings and Doors. Some of you may recall that I did an interesting post featuring them a while back which I think that you’ll enjoy. And last year, I also included this post about them. There’s no shortage of information and gorgeous examples of Metrie Mouldings. In fact, Kristi Barnett, (The Decorologist)who was also on the blog tour, did a fabulous post which brings up an excellent point. And that is the increase in home value from using applied wall mouldings. Not only are you adding incredible beauty and charm, but you are increasing your home’s value! In 1991, we purchased our first home, a townhouse in northern Westchester County. I was so excited because it was bright and spacious and had a lovely fireplace. There HAD to be a fireplace! While I loved the home, it also had miles of PINK carpeting and a warm dirty white on the walls which I later found out was Benjamin Moore China White. Five years later, we had been so house-poor that we had done NOTHING to our home which as you can imagine, kind of depressed me. But when I began my business in 1996 , I somehow persuaded my husband to take out a home equity loan for $25,000 and FINALLY, was able to make the home our own. That was a happy time. And we put down (well, WE didn’t put it down) a beautiful oak hardwood floor which was stained minwax golden oak. And we used Fabulon Polyurethane 3 coats. The result was a rich cognac color which I loved. You can read more about that here. Next on the list was a crown moulding, new chair rail, picture frame moulding, to simulate raised panel wainscoting and new baseboards. I decided to leave the windows and doors with their plain 3″ window casing because that didn’t bother me so much and after all, the house still had some contemporary elements. An old photo of part of our wrap-around staircase after the mouldings went up. We also had four walls with wainscoting in the L-shaped living/dining area. The floor stain was lighter on the small landing than everywhere else for some reason. But it also faded over time. We had the house repaired and painted and then it went on the market for sale. In two weeks, we had a solid offer which we took. Two weeks later, on the day before the prospective new owners were to sign their contract, we had an offer for the FULL ASKING PRICE. Similar homes were not selling or selling for a song, but we got our full-price. And I am positive it is because of the beautiful applied wall mouldings. It made such a difference, I can’t tell you! And for the 16 years, before I moved, I derived much joy from our renovations. where I was a Designhound with Modenus on a blogtour and once again hanging with Claire Jefford and Maria Killam and I went to visit Metrie at KBIS. Behind Maria and Claire is my favorite Metrie door called Fashion Forward. (in pink). There is also a glass version with the black frame. BTW, have you seen Claire’s wonderful youtube channel, filled with lots of great videos and decorating advice. Here we can see a gorgeous white living room by Shannon Claire using the Fashion Forward door from Metrie. Don’t forget to look up like I did! I swiped a pic from Kristi Barnett of the fabulous ceiling detail from Metrie. Let’s see some of their beautiful work! I met Vanessa Francis (link to that gorgeous bedroom above) on last year’s blog tour and was taken with her immense talent, plus she’s super-duper nice! Oh, and she’s a great photographer too. Please check out and follow her on instagram. This is a detail of a Metrie crown moulding in Vanessa’s drop-dead-gorgeous kitchen. You can see many images on her blog. This is a little video from House and Home featuring Vanessa and her kitchen. Another beautiful job using French Curves moulding from Metrie by designer Amdolcevita on instagram. Love the way she incorporated the art with the panel moulding. I found a fabulous tutorial on Addicted 2 Decorating for the adventurous. Lovely applied wall moulding treatment. A beautiful detail of the Metrie French Curves line of mouldings. Well, Laurel, I’m seeing an awful lot of white walls. White, white, white. Do you have to always use white? No, you can use mouldings with any color you like! 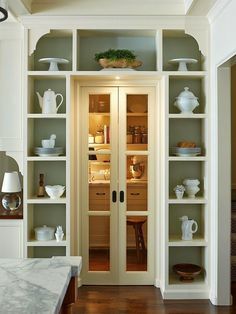 Here are some what I think are wonderful examples of ways to use mouldings with colors that aren’t white. Interior designer Nyla Free, another talented blog tour member used Metrie Doors in her office and painted them black. Stunning Doors From the Pretty Simple Collection at Metrie! This handsome room doesn’t have moulding that I can see, but I know that some of you have prejudice against dark walls. Please tell me, if you feel like it, if you still feel that way looking at this vignette. I’m fine if you do, but I think that this is the way to do dark walls. Lots of white and black and some mid-tones too. 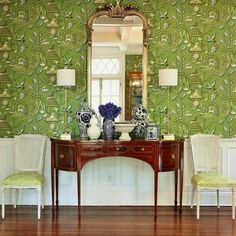 Love this paneled dark green wall in a room by Studio McGee with Metrie panel mouldings. You can see another view of the room here. And well… that’s all I have to say about mouldings and such– for now. Oh wait. No. I just wrote another post. All about wainscoting and the one thing you must never do. PS: Please don’t forget to check out the hot sales pages. Snow day tomorrow! Might as well shop if you’re stuck at home. I’m going to be the dissenting voice here, Laurel. I agree with Susan Porkovich about not putting mouldings in unsuitable places, but I’d go much further. If you want panelled walls, I think you’ve got to go the whole hog and do it the way Greet Lefevre of Belgian Pearls does it: custom-built wood panelling. While I can see that architectural mouldings add a lot to a room (many of your examples are lovely), I’m not sure it’s a universal panacea for modern homes, or for modest historic ones. There’s a word I don’t see enough of (in my view) on decorating blogs, and that’s “appropriate”. I live in an eighteenth-century stone farmhouse in France. There are no architectural features in the rooms because there weren’t any to start with, and we didn’t add any. Indoor panelling and internal window shutters (which the thickness of the walls makes possible) don’t belong in the house: for that, we’d need a manor house or a château (= French country house — sorry for the pedantry, but I get fed up with English-language people calling them castles). The other word is “authentic”, a more difficult proposition, and I think faking wood panelling with applied mouldings raises a question here. No dissension required. But, I think we’re talking apples and oranges here. I am speaking to the middle and your home sounds out of this world! Greet Lefevre’s work is also awesome, but that would be rare in these parts. I wish that you could see my old living room. Well, you can see my staircase, at least. I had the picture frame moulding. A small crown for a chair rail and a lovely 6″ baseboard with an attractive profile. You cannot tell the difference when it’s all painted. I repeat. You cannot tell the difference. It was so incredibly lovely. Everyone who walked in remarked. We sold our home in two weeks. Now, can every home take mouldings? No. Some homes need to be bombed. Sorry, but there’s a lot of really bad architecture, if that’s the word, out there. And yes, of course, it can be over-done and out of proportion and all sorts of things which could actually make things worse. But that’s what designers are for. Or at least one needs to study these things. Also, I’m not speaking of an authentic eighteenth-century stone farmhouse in France. Lucky you. But if I didn’t make myself clear, I am talking about something built in the USA either in a bad decade like the 60s-70s. Our squat ranches and poorly-laid out split levels. (but of course, not everything built then) or a more recent “builder’s special” which was built as cheaply as possible, but has potential. Probably, but difficult to ascertain without seeing precisely what you’re talking about. Laurel, thanks so much for the slipcover information. I follow Miss Mustard Seed and have watched her tutorials. Using her method looks easy even with basic sewing skills. Marian, Miss Mustard Seed, also has a portable commercial sewing machine she uses for slipcovers. I believe she has a feature on her site explaining the machine she purchased and uses. Years ago I lived in Ohio and a local woman made slipcovers for several members of my neighborhood. The woman was quite talented. 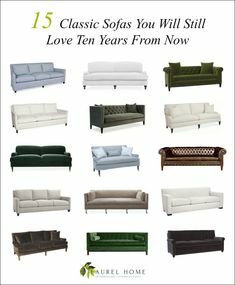 She would cut out half the slipcover in your home, take the balance of the fabric home and return with a perfect fitting slipcover, beautiful and professional looking. I still have the covers she made for me. I see that you found a “work around.” It’s absolutely fine. I turned off the comments on posts over two weeks old because I was answering hundreds of comments a week. But once in a while is fine. Too many years later we’re finally catching up …just in time for things to need replacing. However, you had me at the other Metrie post…beautiful stuff! Assuming we’re talking about the same thing. Orange peel occurs when there are two many coats of paint that have been rolled on the wall with no sanding in between. There is a solution however. And that is to skim coat the walls. We had a big budget project to remove popcorn from all the ceilings and paint the interior before we moved into our home. I asked if they could smooth the walls, but the contractor explained that the home has to be built to have smooth (lovely!) walls. There is a lot of soil shifting and settling in the Front Range, and combined with the dry air, it creates drywall issues. Orange peel and knockdown hides these much better, and so is standard. Thanks for explaining that to me. I like it when things make sense and that does. I’m so sorry, but with the holidays and then getting ready for the show and all of the other crapola that being a business owner throws in my lap. (like my credit card being hijacked for the third time in one year! ), I fell behind and had to triage the most important things like renewing my passport, etc. That one alone is enough to make me take to my bed! hahahahaha But I’m an expert passport renewer now. I agree with allllll of this 100000000%. I tried to hire a carpenter to attack our entry with moulding, but he ghosted me. I think there wasn’t enough money in the project. Wanker. Steven Gambrel goes bananas with moulding and Holy, gorgeous. I can’t get enough! The pic of your stairwell is divine!!! Ohhhhh, flaky contractors drive me beserko! Arrgghh, you’re killing me with your posts about mouldings! I LOVE beautiful wall mouldings, door frames etc. My problem is I live in an ‘open floorplan’ home so there is no defined beginning or end to a room. 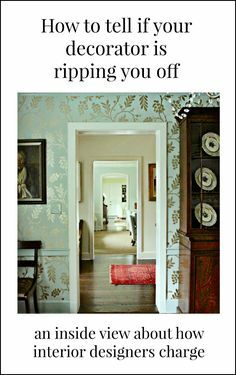 I’m afraid it would be too odd to put mouldings on the dining room wall, for example, and have it end at a corner that isn’t framed. Also, would you ever put the applied moulding directly on a wall even if the wall has a slight orange peel texture? I hear you, but just because that’s how things are presently, doesn’t necessarily mean that they have to stay that way. More than once we’ve put up small walls, either partial or full to create a separation so that things are still open, but separate. I think every room is absolutely gorgeous! We have had some of this work done in our house (stairs and master bedroom)… but it is so costly! I was looking at the pictures and all I could see was the spinning dollar signs. I don’t know what you had done, but all of our mouldings with labor was about $5,000. Yes, that was 21 years ago. So maybe in today’s money more like $8,000. And we lived in one of the most expensive areas in the country. I don’t know what you had done, but for us, every penny was worth it because I’ve no doubt that we got it back, with interest! Whilst I appreciate the beauty of original architectural moldings sometimes they can look artificial in a ranch house or other modern environments (I sometimes call this the Disneyland effect). Of course this doesn’t mean that one can’t upgrade chintzy or skimpy but as you mentioned scale is everything. haha! I should be asleep. and yes, you are right. One is just the applied moulding on the wall and then the whole thing gets painted and the other is actually wood or could be MDF (not idea) and that is an entirely separate piece consisting of a rail (horizontal piece and stile verticle. A little difficult to explain in words. But the latter is far more expensive and really, the effect is the same. here’s a page of images. I think that you are so bang on with your feelings that a beautiful room is about the details. Our fireplace mantel in our living room is marble, but other than that the second picture that you show…where you say that the walls are some type of greige and the source is unknown, is exactly how our living and dining room walls look. We painted them in Balboa Mist by Benjamin Moore so maybe that is the paint colour in the photo too. Looks almost identical and thank you so much for confirming that we didn’t make a huge mistake by not removing the appliqué that is on the walls, which is what a few consults we had at the time suggested we do. Wonderful discussion of the value of architectural moldings! Metrie certainly has some beautiful products!